Unique – just like everyone else. A media review site. In late November I found myself at The Sunset Tavern in Seattle for the sold out record release party for Giants In The Trees – a new band featuring Krist Novoselić of Nirvana fame. The last time I’d been to The Sunset had been to see Fred & Toody of Dead Moon fame. Fred Cole had recently passed away so I wore my Dead Moon shirt in his honor. There were 2 opening bands, Giants In The Trees were not due on stage until after 11 PM. After the 2nd band played, I noticed Krist hanging out backstage near the merchandise table – I bought 2 copies of the debut album “Record Release Party Commemorative” edition (an extra copy for a friend, not an eBay reseller), and wandered over to introduce myself. I talked pretty quickly introducing myself and the 1st thing Krist said was “I like your shirt”. I was thrilled, shook Krist’s hand, and headed back to my spot directly in front of stage. 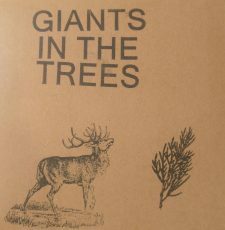 I’d only heard two Giants In The Trees songs – I really was curious about what the evening would be like. Attack of the Killer Track! is a series that explores tracks from artists from a variety of genres. Some of the tracks were singles, some of them were obscure b-sides or long forgotten album tracks. One thing is certain – all of them are killer tracks. Like many people in high school in the early 90’s, I first heard about Nirvana through their world-changing 2nd album, Nevermind. Simultaneously killing the hair metal scene and bringing attention to the Seattle scene, it was an event that is unlikely to be repeated in my lifetime (I hope I’m wrong though). I did what any music obsessed 14-year-old would do – I took my paper route money to the local music store and asked the owner for anything relating to Nirvana and bands from Seattle. Bleach was the band’s 1st album, released in 1989. Dave Grohl is nowhere to be found (though he is on the live version embedded below). The sound is the rawest Nirvana would ever be (and for my ears, the best they ever would be). This is the sound of Aberdeen, WA. Where the bay leads to the sea. Gray mornings, rainy days. 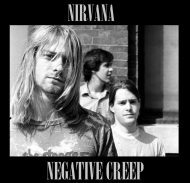 Negative Creep is quite possibly the most aggressive song Nirvana ever cut. An unholy blend of Sabbath riffs, Melvins sludge, and Mudhoney-ish lyrics. This one’s made for the mosh pit. The chorus positively kills “I’m a negative creep and I’m stoned!” Some of the other lyrics seem to pay homage to Mudhoney – can there be any doubt that “Daddy’s little girl ain’t a girl no more” owes a debt to Mudhoney’s “Sweet young thing ain’t sweet no more”? Only a positive in my book. Notable cover versions include Velvet Revolver’s and Machine Head’s. A deep album cut by Nirvana that deserves more attention. It is exactly 2,823 miles from Hatboro, PA to the Lake Washington section of Seattle, WA. I grew up in the former, and Kurt Cobain of Nirvana resided in the latter (post fame). There is a part of me that wishes I could tell you that I discovered Nirvana in the late 80’s and was one of the few who had a copy of their debut, Bleach, years before they hit it big with their 2nd record, Nevermind. Unfortunately, that would be a lie. I was a slightly awkward kid in 9th grade that had come across a video on MTV’s buzz bin that sounded like nothing else I’d ever heard. Of course that song was “Smells Like Teen Spirit” and would propel Nirvana towards becoming one of the most famous bands in the history of modern music. The full length record was released on September 24, 1991 and I believe it put into motion the chain of events that would lead me to move to Seattle just 11 years later in early 2002. A poet and visionary from Washington State had heavily influenced a geeky 14-year-old from Pennsylvania. Attack of the Killer Track! "Why are you doing this, Dave"